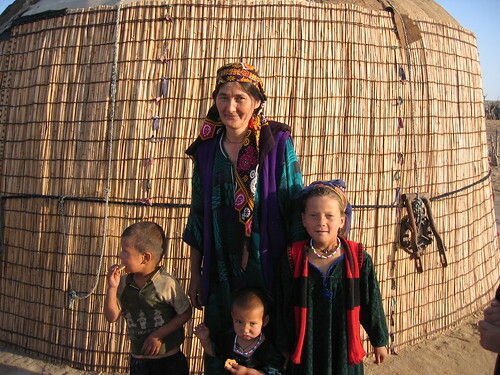 A few weeks back, the New York Times ran a short article that laments how clan dynamics that affect public opinion and voter behavior in Central Asia are overlooked or disregarded by policymakers. I agree. Clans are a part of the picture in obvious places like Iraq, Afghanistan and Somalia, but also in places with more developed political cultures, like Turkey, and obscure places like Turkmenistan and Azerbaijan. In the absence of sustainable political parties, they provide a structure for communication and dissemination of political power. Understanding clan-based societies is important from both a democracy promotion and public opinion perspective for many of the same reasons. In the electoral arena, clan influence usually takes the form of one person or a small group directing the behavior and attitudes of a large group of others who frequently have blood, geography or, to a different degree, economic interests, in common. 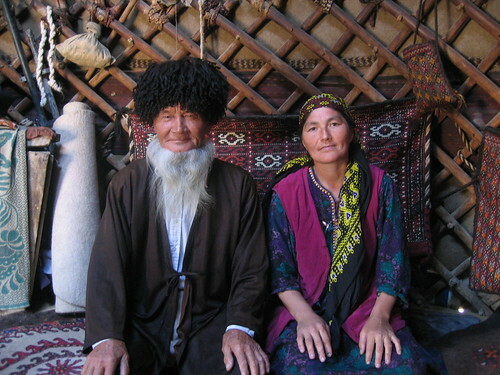 (In Azerbaijan, for example, geographical clans such as the "Naxchivanis" and the "Armenians" have coalesced around economic turf as much as traditional geography. That's a different topic, one we often call "the mafia"). The idea that one or a few leaders have the ability to dictate the views or the vote choice of others is a tough nut for democrats to swallow (unless, of course, they've spent a lot of time in labor politics), but its a fact of life in Central and South Asia. Clan leaders hold a monopoly on message and enhance their own power profile by delivering a large block of votes, many of whom have little to lose by going with the flow and a lot to lose resisting. Getting a clan member elected has a trickle-down effect: it means jobs for the relatives, financial benefits for the community, business opportunities and enhanced prestige and stature for the group. Clans are particularly vexing if your goal is to enfranchise groups who might hold different views or are far down the clan power structure, particularly women and young people. "Family voting" in which one person brings the voter cards of many to the polls to vote on their behalf is seen as a common and in many cases, accepted, practice, even though it makes it difficult to assess the election as free and fair. Women are the most likely losers in this scenario, since their cards are sent to the polls and their names signed on the register. Even when women show up at the polls, they frequently cast their vote according to the wishes of a father or husband (context alert: this happens in western democracies, too). Yes, but what does she really think? Not only does this level of influence result in political homogeneity, it can also result in attitudinal homogeniety. "But what do individuals really think?" is an important question, but it's not the only question. Understanding the degree to which "conventional clan wisdom" has taken hold and the intensity in which it is held among subgroups are important questions as well. I did a training a while back for some Iraqis, one of whom argued that clan power structures conserve campaign resources. He reasoned that there was no need to talk to all the voters if delivering a message to one "opinion leader" was all the persuasion necessary to move votes. Campaign consultants in the U.S. would love to hire that kind of tactician, but that's not a very democratic approach. He even took the argument one step farther by arguing there was no need to poll women since their opinions were dictated by their husbands and fathers and, therefore, no different than the men's. While his comments help illuminate the issue of clan voting, he was off-base about the need to interview women. Putting aside the methodological issues raised by his argument, even if a woman answers a poll question with an opinion similar to her husband's or answers "don't know," both reveal important data. In the first case, the data can help establish the degree to which a clan leader's view reflect the views of the people around him (ideally, it would be vice-versa, but let's not get ahead of ourselves). In the second, it can measure, especially when crossed against other questions, the degree to which women feel free to express their opinions. Finally, by actually asking women their opinions, an important democratic message gets communicated: what you have to say matters and can have an impact. Increasing cooperation in surveys among women -- especially in Muslim cultures --is a topic I am quite interested in and hope to post about more.